Eritrea, a nation in the Horn of Africa, has won the struggle for independence on May 24 1991. During the armed struggle for independence, there were numerous evidences that the leadership from ELF and EPLF were persecuting their comrades who attempted to introduce leadership accountability and promote sustainable unity and freedom among the Eritrean people. The recent development of Eritrean people flocking in thousands to neighboring country is putting Ertirea as a sovereign nation at a cross road. The objectives of this compendium are 1) to show that the ego of the armed struggle's leadership has had a cumulatively negative effect on the well being of Eritrean people; and 2) to challenge the young generation to active participate in the current Eritrean socio-political struggle. The EPLF leadership who usurped power from the Eritrean people in 1991 has continued to repress dissent as it had become accustomed to do during the armed struggle. As a result of this legacy immediately after the liberation of Eritrea the General Secretary of the EPLF Issayas Afewerki declared the prohibition of political organization in Eritrea. (diHri hiGi Nai Wedibat Hashewye Yelen. In 2010 he has also affirmed that his government will never promise to create a democratic ground to any political party intending to confront his rule.By and large the Eritrean people have gained their national independence but not their liberty on May 24 1991. In the 1990s and 2000s the Eritrean people became the victim of disappearances, executions, imprisonments and continued to be turned into refugees. Since 1991 there are more than 30, 000 prisoners, more than 100 prisons, the number of people fleeing from the PFDJ repression is increasing from year to year. According to Chatham House report an estimated 1,000 people a month fleeing to Sudan and another 1,800 people to Ethiopia. There is also tight government control over the economy etc. Overall , during the last two decades the younger generations has become the victim of the most executions, imprisonment, etc. They are the victims not only of the PFDJ leadership but also of the leaders of opposition groups. These opposition leaders who inherited their leadership from armed struggle have also contributed to some extent to prolong the life of this dictator regime. Instead of working together for the benefit of the Eritrea people they spend most of their time in condemning rival oppostion leaders, factional in-fighting and mutual recriminations which harm the unity of the Eritrean people's stru ggling against the PFDJ fascistic regime. It weaken the prospects for unity within the opposition camp. For example Seyoum Ogbamichael walking out from the meeting of 5th regular meeting of the Alliance of Eritrean National Forces ENA when Hirui was elected to the position of Secretary General of the ENA in October 2002. This happened at a timet when the Issaya severely restricted freedom of speech and press etc. Such sectarianism was repeated in 2007 when the Eritrean Democratic Alliance (EDA) split into two blocs because of conflict over leadership issues bt etween the bloc led by Hussein Khalifa and the bloc led by Woldeyesus Ammar. This happened when 5,000 Eritreans had fled to Sudan because of repression by the Eritrea government between November and December 2007. If the leaders of oppostion groups are genuinely concerned about the Eritrean people's suffering why do they allow Issayas to stay in power to committed further crimes against the Eritrean people. Dr Salah I. Jimi in his articl EDA Split: Implications for National Unity and Democracy also states that ten years should have been enough for the ELF factions to reinvent themselves and be a credible and an effective opposition group. Today Eritreans would then not be subjected to PFDJ extreme abuses emanating ‘absolute power’ and its attendant arrogance. Since 1991 the oppostion has had more opportunity to resolve their differences and to exploit the rift which occurred between the G15 and Issayas in 2001. But these opposition leaders prioritized their organisational interests rather than liberate the Eritrean people from the ruthless PFDJ. Such factionalism is not new. 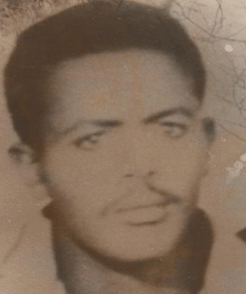 Wolde Giorgis (1989: 93) recalls that the ELF and EPLF had the power to take Asmara, but at the last minute their mutual hatred proved stronger than their hatred of the Ethiopian army. He adds that, they lost their opportunity because they could not come to an agreement. Subsequently, the number of martyrs among civilians and fighters is estimated to have reached more than a hundred thousands. According Stefanos (2000) and White (2005) the number of people killed during the 30 years of liberation war was estimated around 250, 000. During the 30 years of the armed struggle religion and ethnicity were exploted by the former revolutionary leaders to come to power. And today there are still abuse by the opposition leaders for sake of power causing the outbreak of cyberspace civil war between Muslium and Christian elites at awate.com and other websites. Concerning this, Omar in his interview on Religion and Politics in Eritrea states that the Christian elite misled the grass-roots and mobilized them against the slogan of independence. "Now the Islamist elite are using and abusing religion to recruit supporters claiming that the regime is sectarian" He also said that since the dictatorial regime is targeting all Eritreans - Christians, Moslems, young and old, male and female - the response should be equally "national"- all sectors and groups, political organizations and civil society groups, intellectuals, religious leaders, journalists and social activists should join together and say NO to the dictatorship - inside and outside--written or verbal. Ibrahim Mohammed Ali in his article response to Sheikh Hamid Turki also states that the other actors and partners of the dictatorial regime in causing and prolonging the suffering of our people and creating unhealthy situation. There are certain opposition groups bent on disrupting the internal unity and social setup of this diverse but one nation by forging their fragmented groupings and promoting division based on religion, language and ethnicity.This polarisation on the basis of religion and ethnicity in the cyberspace started after the EDA's split in two blocs in 2007. It got worse in 2009 with the formation of Eritrean People´s Democratic Party (EPDP) led by Woldeyesus Ammar and Eritrean Solidarity Front (Tadamun or ESF) led by Sheikh Abu Suhail who joined the mujahad in Afghanistan during the Afghan Jihad war against the Soviets ; when Woldeyesus Ammar attended the Brussels Conference 2009 ; and in April 2010 the EPDP led by Woldeyesus Ammar announced its withdrawal from the July National Conference. which is organised by the EDA. The exploitation of religion, mutual distrust and others divisive tipractices are not suddenly appearing, the opposition leaders inherited these from the former revolutionary leaders. Regarding this Alsayed (2009) states that the ELM’s (Harakat) path for liberation and independence was interrupted and later replaced by the ELF whose leaders were arrogant intolerant of differences of opinion and resort to subduing opponents by force. This culture had continued to this day. It is beyond the scope of this discussion to look in-depth on the intolerance, mutual distrust and competition of Political leadership which appeared during the struggle for independent from 1941 and 1991 or from 1991 to present. Generally, the purpose here is to document the history of the Eritrean people's struggle on the 19th anniversary of Eritrea's Independence Day. It is mainly, to draw attention of the younger generation to the impact of disunity and irreconcilability of leadership by looking back the consequences of federation, civil war and rivalry between former revolutionaries during the armed struggle and its legacy in the the opposition groups as manifestation in the preparation for the July 2010 conference. The brief chronological background information which is presented below might be useful for those who wishes to conduct further research on reconciliation.